(Bloomberg) -- The “Big Three” automakers, labor unions, environmental activists, Republicans and Democrats alike praised the legacy of Michigan Democrat John Dingell, the longest serving member of Congress in U.S. history who died Thursday at age 92. 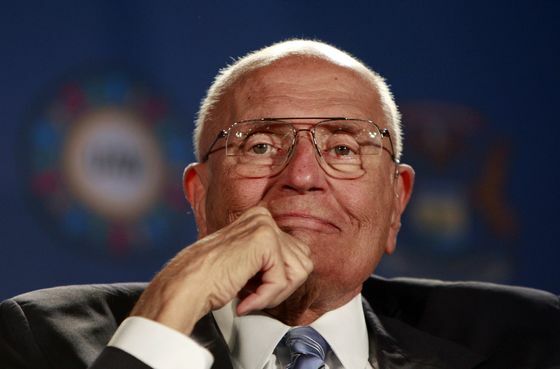 Ford Motor Co. Executive Chairman Bill Ford called Dingell a friend and adviser who sought to find common ground even on the thorniest of issues. “His passing is a reminder that we need more leaders who are willing to find compromise and bring people together for the greater good,” Ford said. Dingell’s death united both Democrats and Republicans in praise of the long-time lawmaker. Michigan Governor Gretchen Whitmer, a Democrat, said all politicians could learn from Dingell "in this divisive time." Former President George W. Bush, a Republican, said he spoke to Dingell earlier today, to thank him for his service to the country "and for being an example to those who have followed him into the public arena." Republican National Committee Chairwoman Ronna McDaniel, herself a Michigander, said in a statement that the nation is mourning "the passing of a legend." Former President Barack Obama said Dingell’s life is a reminder that change “does not always come with a flash, but instead with steady, determined effort.” Obama praised Dingell’s role in fighting for the Civil Rights Act, rescuing the U.S. auto industry during the financial crisis, creating Medicare and then, decades later, sitting alongside him at the 2010 signing of the Affordable Care Act. House Speaker Nancy Pelosi said Dingell “leaves a towering legacy of unshakable strength, boundless energy and transformative leadership,” while former Vice President Joe Biden said Dingell earned his title of Dean of the House "not just because he was there the longest - but because he led with great moral courage and vision." University of Michigan President Mark Schlissel in a statement praised Dingell, saying "we will miss him dearly, but his impact will endure."